Officers of Thane Police's Crime Branch are happy. 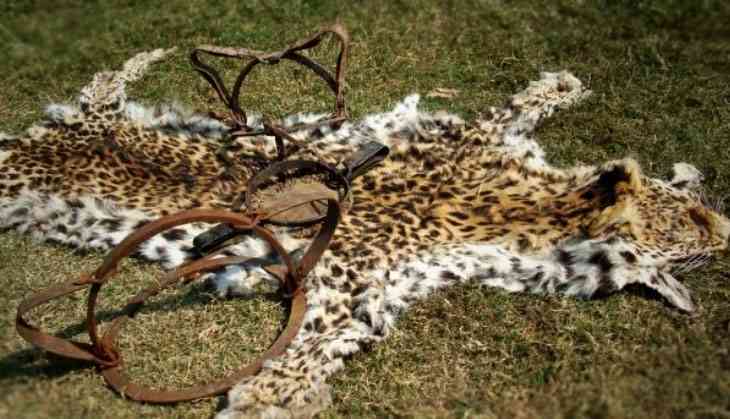 A tip led to the arrest of two poachers this week and the recovery of a leopard skin. The duo, claimed they were from neighbouring Madhya Pradesh, and they expected to make Rs 10 lakh selling the skin of the big cat poached near Satara. But is Thane Police rejoicing too soon? “Poachers from MP do not reveal their identity – that's their standard operating procedure. They secure bail on false ID and then jump it,” said a senior wildlife crime expert who has followed tiger and leopard poaching for more than two decades. In the case, the arrested duo have identified themselves as Kismatlal Marbi (30) and Korcha Marbi (25). “The surname they gave explains everything – the surname Marbi, or Madvi, are used by the Gond tribals in Maharashtra. Either of the first name, middle name or last name is generally true. All else is false. Once produced in court, they manage a criminal lawyer who get them released on bail,” the source said. Several cases in which the accused are not traceable are pending for more than two decades. When Maharashtra Police have visited villages of the accused but could not arrest them and MP Police have said no person by such name lived there. “We have a strong network of informers across the country, especially in and around villages where poachers allegedly live. They have a strong and hi-tech communication system in place. Because of which, the news about any such arrest reaches the village in no time. Since they know the real identity of the individuals arrested, our informers can zero in on them,” the expert said. अटल सरकार के सबसे युवा चेहरे को मोदी-शाह के राज में खामोश कर दिया गया है ?